Jörg Wachler is responsible for the final preparation of the pianos at the FEURICH production facilities in Vienna. He is continuously involved in developing new techniques in the world of piano sound and voicing, and is constant dialogue with our team and the many FEURICH partners worldwide, in order to share and develop this knowledge. After schooling in piano, organ and trumpet playing at an early age, Jörg undertook his apprenticeship in piano building in 1981 in Eisenberg/Thüringen, Germany. Having passed his apprenticeship with distinction, he decided to delve into the world of organ building, studying for 3 years with Schuster&Sohn in Zittau, Germany. He gathered considerable experience in piano tuning working with the Deutschen Piano Union in Leipzig, as well as working as a church musician and leading numerous church ensembles over the years. 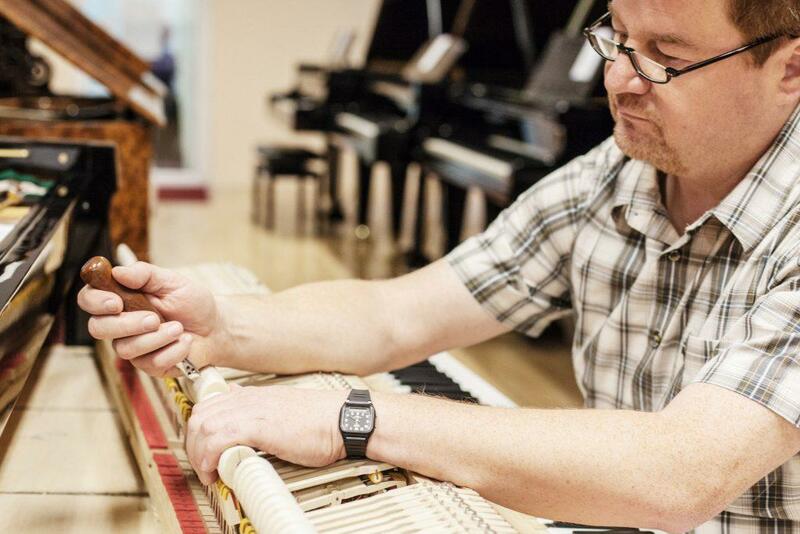 In 1998, Jörg was called on by the prestigious piano maker C.Bechstein, to work on the critical process of tuning and intonation as the final step in the piano’s production. Jörg has been priveledged to be able to work alongside renowned experts in this field including Naoki Yamauchi (Bechstein-Berlin), Ewald Vögele (Tübingen), Gert Gäbler (Steinway-Dresden) and August Förster. With his 30+ years of experience, we are proud to have Jörg as our chief of voicing at FEURICH, and as head of piano preparation at our production facilities in Vienna.